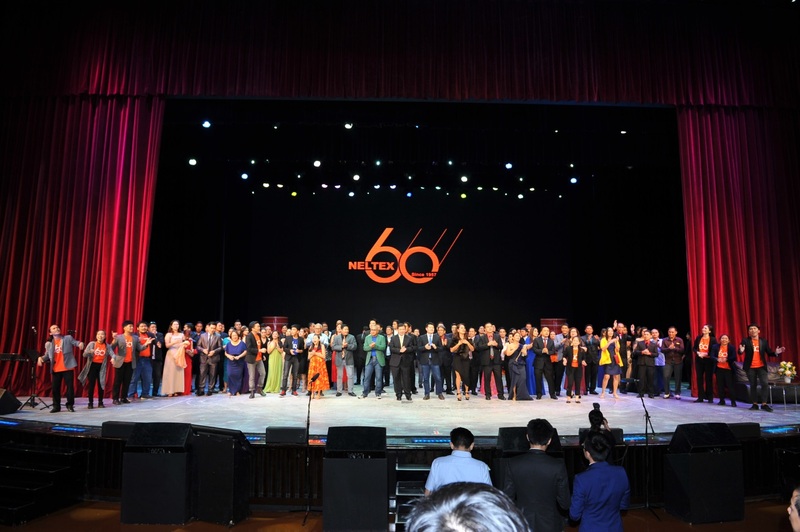 Sixty (60) years of Making Possible Together—this was the theme of the recently concluded NELTEX 60th Year Anniversary and Trade Launch Celebration held at the Resorts World Manila last January 7, 2017. The country’s largest PVC manufacturing company expressed its thanks to the people who have shared its first six decades in the industry through a private dinner at the Mariott Grand Ballroom followed by an exclusive theatre performance and thanksgiving ceremony at the New Performing Arts Theater. “Sixty years is a milestone that not many company is able to achieve. And Neltex couldn’t have reached this milestone without the friends we have made in the industry. This is our way of thanking them and committing to continue to grow and make more things possible with them” says Neltex President and CEO Nelson Sy. Neltex is not only Southeast Asia’s largest Heavy-Metal Free PVC manufacturing company to date, it is also the industry pioneer who introduced the ASTM standards in the Philippines, started the PVC pipe color coding scheme in the country, and originated the machine-installed fixed gaskets in pipes. It is also the first to shift to a fully-automated, heavy-metal free production of plastic pipes. These milestones and Neltex’s story were uniquely presented through a full theater production entitled “Kwentong Tubo ng Pamilyang Pilipino” that follows a story of Neil, an engineering graduate and hardware business owner whose life improved alongside Neltex. The story showcases how Neltex’s introduction and innovation of plastic pipes helped solve water contamination, ensured steady power connections, and made water and drainage systems more efficient over the years. In the words of Mr. Tony Sy, Vice President for Sales and Marketing, Neltex had a solid first 60 years of making great things possible for the various industries it serves. “So, for the next 60 years, Neltex will continue to serve the growing demands in infrastructure, residential and commercial developments, and agriculture by further doubling its 40,000 metric tons annual capacity within the next 5 years”.